We're hit with another redesigned Roshe Run by Nike Sportswear featuring winter-ready reinforcements. Ready for outdoor use in all weather conditions, The sneakerboot edition of the Roshe Run arrives with a canvas and quilted upper for ice cold temperatures, metal eyelets and a supportive 3/4 height collar. One of several looks on the way for their debut, we see a combination of "Newprint" and "Smoke" grey with pink accents coloring these up. 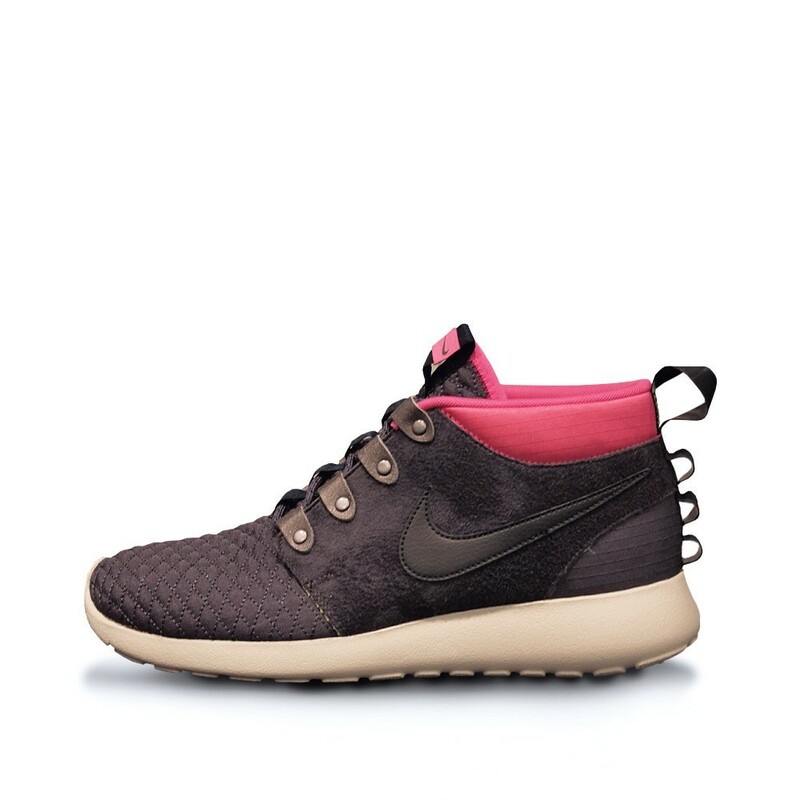 The Newsprint/Smoke Roshe Run Sneakerboot is scheduled to release online tomorrow via overseas retailer End Clothing.